Usually, I only blog my newborn and maternity sessions.....but this stunning senior shoot deserves some blog space! I LOVE to get creative and push the limits!!! What a great way to capture Niles during your senior year, right??!!? 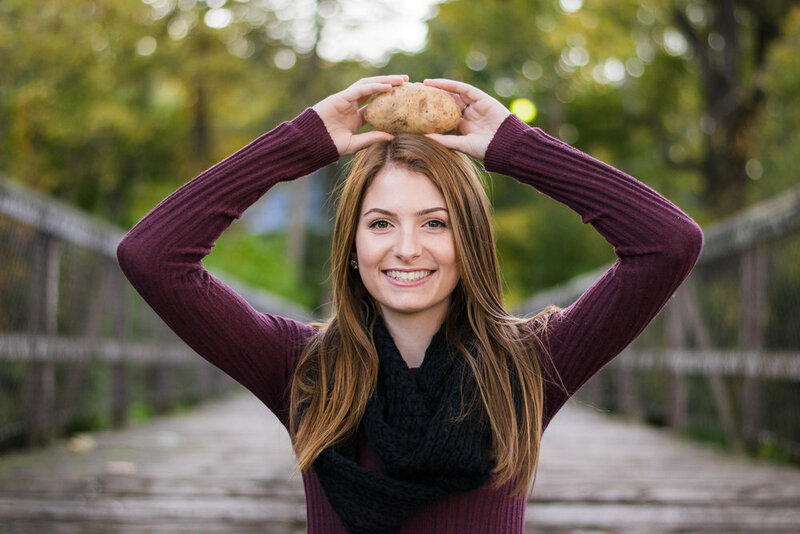 Does this girl resemble a potato?!? Backstory- I work with Abby's mom, and after meeting Abby the first time I told her mom how pretty her daughter was. Her mom said, Abby jokes and says she "looks like a peeled potato" WHATEVER!! I enjoyed capturing these Senior Photos for her sooooo much!! This girl is beautiful inside and out, and has a bright future ahead of her.